My blog can’t be found with Google yet. They said the more you blog, the more possible to be found. It could take 2 or 6 weeks. So, I found this way, Publicize which can notify search engine. Sharing blog posts via social media is the best way to spread in Public. Learn more how to Publicize for your WordPress blog. Now, I show you how my published posts share in social media. 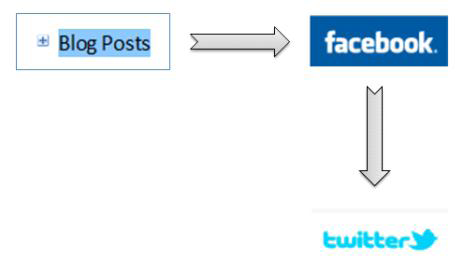 If you interested How to sent posts from Facebook to twitter, click this.